Not your typical Craigslist advert. No mention of “no strings fun”, for a start. Well, Safety Not Guaranteed plays with this premise of an advert looking for someone to travel back in time with the ad-placer. Aside from asking the applicant to bring weapons (a necessity for time travel – you’ve seen Sliders right? Those guys ended up in all manner of crappy situations! ), the advert ends with the line “Safety Not Guaranteed”. Enter the story. The advert’s picked up by a magazine looking for a new feature article, so reporter Jeff (Jake Johnson) and his two interns Darius (Aubrey Plaza) and Arnau (Karan Soni) trek off to the coast to track down the guy that placed the article: Kenneth (Mark Duplass). So whilst Darius is charged with getting the inside scoop on the story by getting to know Kenneth, the boys are left to go on their own journeys of discovery and enlightenment. If I’m being vague, that’s a good thing, as I don’t want to spoil a thing. Safety Not Guaranteed comes to you from the same producers as Little Miss Sunshine and holds a lot of similarities with it. I’d also throw Garden State into the mix too to give you an impression of the sort of film this is. What’s my opinion of these two films? Well, they’re OK. I’m not crazy about them. They’re entertaining, quirky, indie-style movies for sure. And for some, they’re like scripture, but not so for me. Way too much whimsy and “pleasantness” to tick all the boxes. But Safety Not Guaranteed is a damn fine film. And one that I believe you should take time out to see. Parks & Recreation fans will instantly recognise Aubrey Plaza – the downbeat and sarcastic one from the hit show. Whilst she retains some of her world-weary cynicism here, she really acts convincingly and had me enraptured. She’s oddly introspective and has a delightful way of holding the viewer’s attention in every one of her scenes. I’d never really noticed how good looking she is either. Always a bonus. Similarly, I didn’t know what to expect from New Girl’s Jake Johnson as the lead reporter on the case. I was anticipating a one-track “big man on campus” performance, but his character was lovingly written and had a depth to him not normally seen on-screen. It’s just a pity that his main plot line was left so open and inconclusive. Credit too to Mark Duplass as Kenneth – his performance as a somewhat paranoid eccentric was right on the money. A very subtle and effective performance. Although too much whimsy and quirkiness in a film normally makes me feel queasy, I’ve got to hand it to those involved with Safety Not Guaranteed. It was entertaining, but never so saccharine that you felt the need to reach for the nearest bin. Admittedly, it was slow at points and I can’t say I was engaged from start to finish, but I never wanted to stop watching. I needed to know how it finished for all the protagonists. With a sub-90 minute running time the film never outstays its welcome, which could have become a real problem for the film. At its core, Safety Not Guaranteed is a story of romance under a thin veil of mystery. I’m not normally one for a movie of this ilk, but it worked. It worked really well. Safety Not Guaranteed is a very welcome surprise. 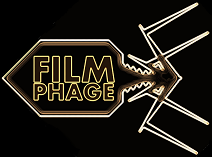 Seeing “From the producers of Little Miss Sunshine” on the posters didn’t fill me with glee because I’m not that sort of Phage. But the writing pulled me in and the acting held my attention. Its mish-mash of romance, comedy, mystery and sci-fi is an interesting mix that whilst not pandering to one demographic, ably draws in people that wouldn’t normally be interested in what is essentially a romance story. If one word had to sum up this tale, it’d simply be “charming”. So maybe it is worth answering these ads. Safety Not Guaranteed essentially advertised itself as: “Seeking fans of quirky romantic comedies for a 90 minute experiment. Bring popcorn. Warm, cozy feelings guaranteed.” It’s certainly not one I’d have heeded the call of, but I did. And I’m more than thankful for it. I’d suggest you do the same. By that I mean checking out the movie. Maybe replying to an advert that reads “Seeking an experimental slave that can tolerate pain. Bring condoms. Safety not guaranteed.” isn’t the one you should be replying to… Or maybe it is? This entry was posted in Review and tagged Aubrey Plaza, Craigslist, indie movie, Jake Johnson, Little Miss Sunshine, Mark Duplass, New Girl, newspaper advert, Parks & Recreation, quirky, time travel. Bookmark the permalink. Glad you liked it, it’s different from the norm. Yeah it was an endearing film that I didn’t think I’d enjoy. And that ending? Nice and bombastic.